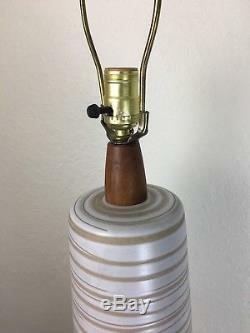 We've had a lot of vintage Martz lamps, but never one this large! 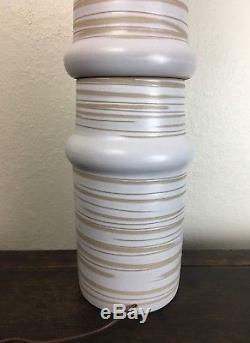 This unbelievable piece of ceramic art comes from the brilliant minds of Jane and Gordon Martz, and was manufactured in the 1950s or'60s by Marshall Studios. 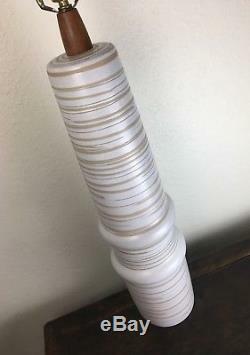 Stands at an incredible 42 1/4" tall from base to finial, with the ceramic portion standing at 28 3/4" tall. Approximately 6 1/2 wide at the base. Still has the original walnut finial. Excellent condition, with no chips or cracks. 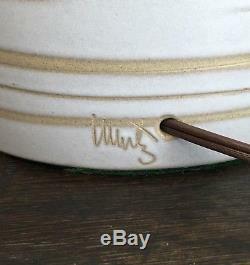 Signed "Martz" where the cord enters near the base. Last photo shows a matching pair also available for sale. 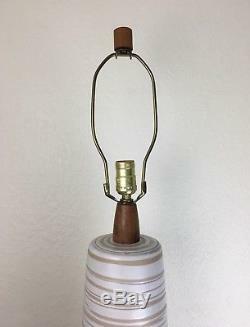 This listing is for the one lamp only. 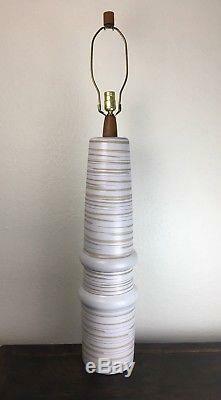 The item "Monumental Giant Vintage Martz Lamp Marshall Studios Ceramic Mid Century Modern" is in sale since Monday, August 20, 2018. This item is in the category "Antiques\Periods & Styles\Mid-Century Modernism". 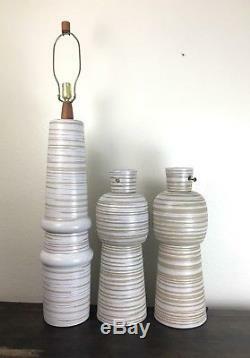 The seller is "abqmodern" and is located in Cedar Crest, New Mexico.